Machine learning is a revolutionary technology that currently forms a critical aspect of numerous burgeoning and established industries. This technology allows computers to access hidden insights and predict outcomes, leading to remarkable changes to businesses. So, what’s the future of machine learning? How will it impact our world in the future? Here are five key forecasts about the future of machine learning. In machine learning, unsupervised algorithms are employed to make predictions from datasets when only input data is available without corresponding output variables. Whereas in supervised learning the output of the algorithm is already known, its unsupervised counterpart is closely associated with true artificial intelligence—the concept that a machine can learn to identify complicated processes and patterns without any direct human intervention. When algorithms are left alone to scour and present the interesting patterns in a dataset, hidden patterns or groupings can be discovered, which could have been difficult to get using supervised methods. In the coming years, we are likely to see improvements in unsupervised machine learning algorithms. The advancements in developing better algorithms will result in faster and more accurate machine learning predictions. Machine learning personalization algorithms are used to offer recommendations to users and entice them to complete certain actions. With such algorithms, you can synthesize the information in a data and make appropriate conclusions, such as a person’s interests. For example, an algorithm can deduce from a person’s browsing activity on an online retail website and discover that he is interested in purchasing a mower for his garden. Without that insight, the buyer could have left the website minus making a purchase. Currently, some of such recommendations are inaccurate and annoying, which cripple users’ experiences. However, in the future, the personalization algorithms are likely to be fine-tuned, leading to far more beneficial and successful experiences. Quantum machine learning algorithms have the potential of transforming the field of machine learning. For example, these algorithms can utilize the benefits of quantum computation to enhance the capabilities of classical techniques in machine learning. If quantum computers are integrated into machine learning, it could lead to faster processing of data, which could accelerate the ability to synthesize information and draw insights—and that’s is what the future holds for us. Quantum-powered systems will provide a much faster and more heavy-duty computation to both supervised and unsupervised algorithms. The increased performance will unlock amazing machine learning capabilities, which may not have been realized using classical computers. Cognitive services consist of a set of machine learning SDKs, APIs, and services, which allow developers to include intelligent capabilities into their applications. With such services, developers can empower their applications to carry out various duties, such as vision recognition, speech detection, and speech understanding. As this technology is continuing to evolve, we are likely to witness the development of highly intelligent applications that can increasingly speak, hear, see, and even reason with their surroundings. Therefore, developers will be able to build more engaging and discoverable applications that can effectively interpret users’ needs based on natural communication techniques. As machine learning is becoming more sophisticated, we’ll see increased usage of robots. 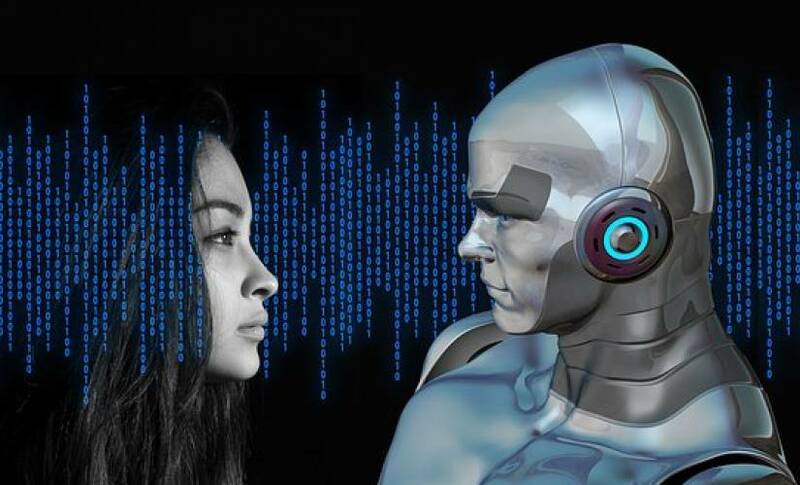 Robotization depends on machine learning for accomplishing various purposes, including robot vision, self-supervised learning, and multi-agent learning. Soon, we expect robots to become more intelligent at accomplishing tasks. Drones, robots in manufacturing places, and other types of robots are likely to be used increasingly to make our lives easier. Machine learning is one of the most disruptive technologies of the 21st century. Although this technology can still be considered to be nascent, its future is bright. The above five predictions have just scratched the surface of what could be possible with machine learning. In the coming years, we are likely to see more advanced applications that stretch its capabilities to unimaginable levels.